Orlando, Florida is about theme parks, palm trees and golf! 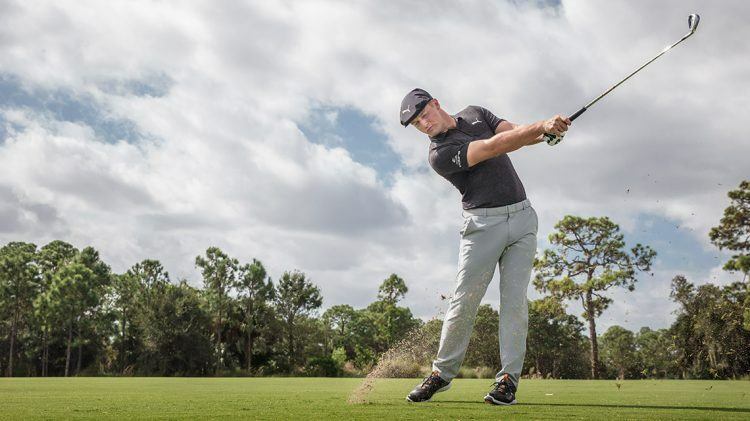 Especially in the beginning of each year: Every January, the Professional Golfers’ Association (PGA) Show, the industry’s largest trade show, is held in Orlando. Professional golfers and industry professionals learn all about the coolest, freshest and most innovative products. The new IGNITE NXT SOLELACE shoes, certainly have style, but they also deliver on the comfort and performance side. The shoes are constructed with the comfort of IGNITE foam, the superior traction and stability of NXT technology, and the innovative SOLELACE closure system. 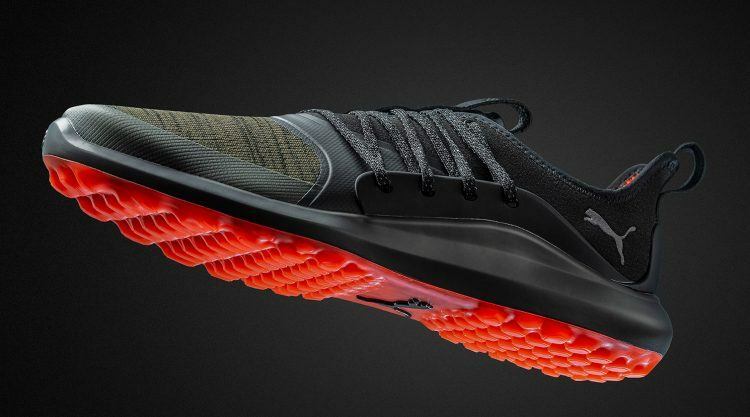 For those wandering, SOLELACE uses super strong and lightweight TPU units attached directly to the midsole to allow the laces of the shoes to completely envelop a golfer’s foot, offering 360-degree support. With this design, the laces of the shoes pull the midsole and outsole of the shoe via the SOLELACE units, rather than the laces simply tightening the upper around the foot like in a traditional shoe, which helps provide the ultimate ground feel. 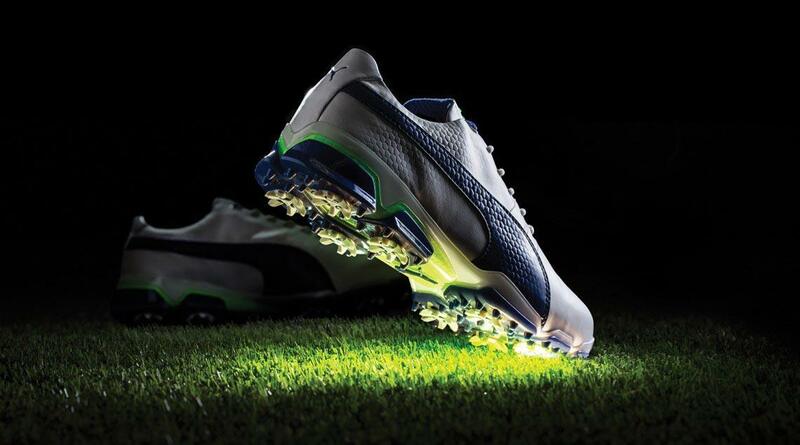 In golf – a locked-in feel and stability is crucial to a good swing, and the new NXT shoes have that in spades. Bob Philion, President and CEO of PUMA North America, about why players love the IGNITE NXT shoes. The Spring Summer 2019 collection introduced the aptly named Jackpot pant and short, focusing on the elements needed to hit the pant jackpot – fabric, fit and function. These modern golf pants, feature a moisture-wicking, four-way stretch polyester fabric, a lightweight, stretch-mesh waistband and are designed to fit and drape perfectly. The fit and fabric are polished enough for the office – so you can head straight to work after a quick-morning 9 and not have to worry about changing your pants. The 2019 line will continue to focus on the ladies, taking inspiration from athleisure and infusing performance fabrics and silhouettes that work well both on and off the course. The collection will see new colors and styles added to the brand’s popular women’s bottoms that incorporate PWRSHAPE Technology, engineered to provide a smooth, slimming effect and deliver the ultimate in support and comfort from a bonded waistband and flatlock seam construction. 2019 collections will see streetwear inspired designs blended with PUMA’s heritage performance gear for the ultimate in comfort and style that wears well both on and off course. PUMA Golf will introduce fresh styles, graphics and color stories, combined with cutting-edge technical elements including ALTERKNIT, 3D knit textured fabrics and FUSIONYARN Flex, a crafted blend of performance and natural fibers for the perfect fusion of everyday comfort, distinct style and on-course performance. 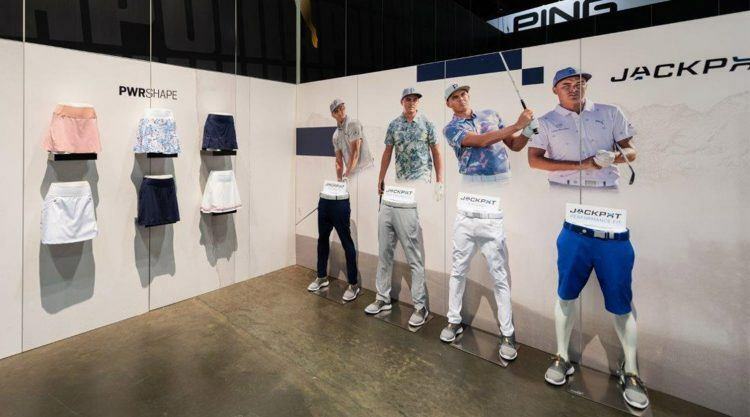 Visit PUMA Golf to see more about the 2019 innovations and offerings! The PGA Show is the golf industry’s leading trade-only event, where PGA Professionals & Golf Industry Professionals meet to discover the latest trends in golf equipment & technology, apparel & accessories. Visitors can attend the world’s largest Outdoor Demo Day, visit conferences and show exhibits and take part in workshops.